I’ve recently been mentioning my notion that neuroscience will be the area where we will have surprising and even shocking developments over the next decade. One hot and near term application area is the development of an electronic form of telepathy as a sort of wearable device. Electronic telepathy is a silent “thought based” or subvocal form of communication and potentially also controlling devices and Internet access. How close are we? In the news this week, Motorola patents “electronic tattoos” that enable real electronic “ESP”, and DARPA funding an open interface for a Brain Computer Interface print at home. 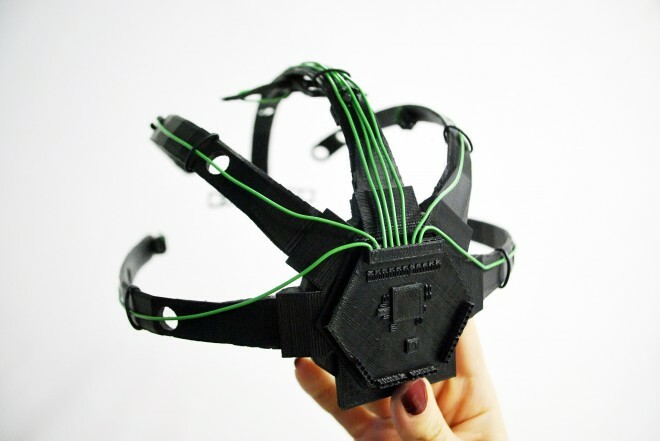 Will 2014 be the year brain computer interfaces become mainstream? These developments follow on last year’s control over 3D printing with thought. Author and futurist Ramez Naam’s recent science fiction books Nexus and Crux include an imagined technology for brain to brain communication and its potential implications. But today’s technology is still quite a distance from the technology imagined in Ramez’s books. Here are two videos you might enjoy. First Ramez’s presentation at TEDx Ranier where he suggests that we are closer to being able to literally link our minds than we imagine. Ramez also appeared recently on the London Futurists Hangout on Air with brain emulation expert Randal Koene. Randal is a bit skeptical about some of the near term possibility of some naive ideas about brain computer interfaces. Brain Augmentation: What’s the Deal? The only time I ever got a tattoo the dog licked it off when I was asleep. Leastways that’s what my wife said. Checking up on the Motorola patent, regrettably, it is just a variation on the throat mic (first used in 1934)with the mic being printd on to the skin at the throat using conductive/semiconductive ink and components in the usual fashion. Also over-hyped were the lads planning to 3D print a headcap similar to that produced by Emotiv. Brainscans at home – why? The Emotiv type of headcap is not intended to and is not capable of producing a brainscan – and who is to interpret the scan – cousin Jim? Why spend money on going to a clinic to see what the headaches are about, when you can do it at home for a few dollars in the kitchen. Not up to standard, lots of words with not much actual content. This is right in our area. Hope to demo Porto at the Bial 10th Symposium end of March, funds and milestones permitting. Collaborators invited. How can you patent something that has not been reduced to any actual invention yet? That is supposed to be a no-no. How can I patent all my very excellent ideas? You can apply at any stage, but applying implies a reasonable certainty if one is to avoid troublesome processes later on.